As simple as this may sound, the truth of the matter is that it has become increasingly more difficult for us to recognise our own sins, let alone offer them to God. 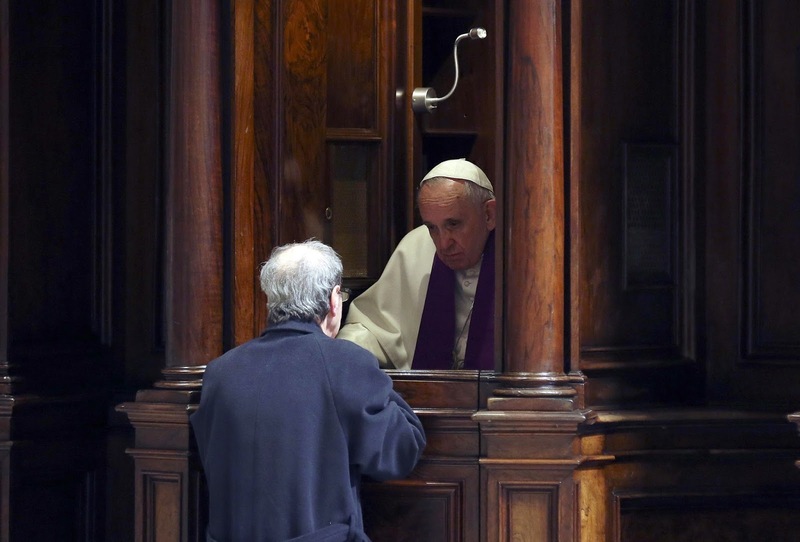 Many who try to recognise their sins, who make it a frequent habit to go for confession, would often end up being accused of neurotic scrupulosity. In the new ideology of self-esteem, everyone ends up denying sins. The path to getting rid of guilt is no longer to confess our sins but to deny the existence of the sin in the first place. Perhaps, one could also relate this to the reason why so many people come up for Holy Communion, whereas the lines to the confessional are always short, if there is a queue at all. To speak out against sin in this day and age, would certainly earn you the label of being intolerant and judgmental, terms reserved for modern day Pharisees. It would seem that the greatest enemy today is not the devil or sin. The greatest enemy today is the Pharisee who makes us feel guilty. But is refraining from highlighting the faults and sins of others an expression of true mercy? The answer to this question lies in today’s gospel. If there is a story within the gospels that would fit the label of a parable of mercy par excellence, it would be this story of Jesus and the woman caught in adultery. The most popular interpretation of this story in these modern times, however, is to see within the response of Jesus the attitude of being non-judgmental. Thus this story has often been used to justify the argument that no one has the right to judge another person for his moral behaviour, no one should criticise anyone else who is sinning, since Jesus didn't (or so they think). According to the argument, since everyone is a sinner, something which is not denied, all persons are disqualified from making moral judgments. Ultimately, this argument reduces mercy to being non-judgmental. But did Jesus’ words to the Pharisees and the scribes carry the above connotation? If it did, then no one, not even those who accuse the Church of being judgmental, has the right to judge. Jesus never condoned sin or even the sinner who remains in sin. In fact, the conclusion of the story is the reverse. He told her unequivocally to sin no more. There was no compromise or the slightest tolerance for sin. He did not even provide her with a more realistically attainable path – go and “try” not to sin again. There is nothing ambiguous about what he meant. “Go away, and don’t sin anymore.” The woman and all of us are presented with a choice. We can choose Jesus Christ, or we can choose our sins. If you choose to love your sins, you will die in them. If, however, you confess and repent of your sins, and choose Christ, you will have life, life in abundance. This is true mercy. The real threat to mercy is not an attitude of intolerance for sin. Rather it is sentimentality and misguided compassion which choses to deny sin. I’m not making an apologia for the Pharisees in today’s story. They were no saints. They had no real interest in, let alone compassion for, the sinner. One can almost detect a note of triumph in their voices as they accused this woman. They were not ready to listen to any explanation or try to understand the context of her crime. It is clear that they were not interested in the truth, nor were they wishing to save and reform this woman. Furthermore, the Pharisees were also blatantly unfair. It takes two to tango, or in this case to commit adultery! Where was the man? The Law of Moses prescribed that both parties were to be executed. And finally, they were really not interested in upholding the moral standards of the community but were using this poor woman as a pawn to entrap Jesus. She was the small bait put out to catch the bigger fish. They were not concerned about justice. They would not have stopped at their ‘pound of flesh’ until Jesus himself was implicated and condemned by his response. But the saying of Jesus would also prove to be self-revelatory, since he was the only one who was sinless, and therefore, the only One who had any right at all to pass both judgment and sentence. Thus, the sinful woman remained for Christ's judgment. She waited for the only judgment that mattered. She had nothing to offer him except her sins. She threw herself before his mercy. Alone with the woman, Jesus exercised his authority, not as Judge, but as Saviour. There was no stone in his hand! Without ignoring her sin, Jesus pardoned her. She was sent on her way contrite and resolute, not only to obey the Law for the law’s sake but to renew her faith and to reform her behaviour according to the loving mercy that had been shown to her. The goal of the Law was served – it was redemption, not condemnation. This little story reminds us that God’s mercy and God’s justice are not really two different things. God is merciful: but He is also just. Thus God both forgives and disciplines out of the same love. When we separate God’s mercy from His justice, we either end up condemning the sinner or denying the sin. The former is a failure of mercy, and the latter a failure of justice. But in reality they are both failures of mercy and justice, because they are failures of love. Today there are two popular extremes in how Christians approach sinners. The first extreme is like the Pharisees. “Let's stone them!” There is no charity in their judgment or in their condemnation. Likewise the second extreme is where we say, “its okay, do whatever you want, God's mercy will cover it.” There is also a lack of charity in this seemingly liberal view of things. To deny sin is a cheap escape through rationalisation. Mercy without the invitation to authentic friendship with God is a counterfeit. Unrecognised, this counterfeit is just another false path that blinds us to the transforming power of Divine Mercy. On the other hand, charity calls us to free those trapped in sin from the evil that enslaves them. Sin is the very antithesis, the very opposite of God. Therefore, tolerance for sinful behaviour should never be mistaken for mercy and love. True love demands that one seeks to announce the truth of the wrongdoing, call the sinner to repentance and finally to facilitate his reconciliation with God. That would be True Mercy in all its glorious splendour.